Few painters have created as rich a world as Hieronymus Bosch did in The Garden of Earthly Delights. The late 15th- or early 16th-century triptych, which depicts the creation of man, the licentious frolicking of all creatures on a paradisiacal Earth, and the subsequent fall into damnation, draws a scrutiny — and causes an amusement — as intense as ever. As we've previously featured here on Open Culture, you can now take a virtual tour of the painting (there's even an app for it), see it brought to life with modern animation, and hear the song tattooed on the posterior of one of the work's many characters. Bosch not only created a world with The Garden of Earthly Delights, he populated it thoroughly. And despite the human-centric story the work appears to take as its basis, the cast with which it retells it extends far beyond mere humanity: the panels feature not just wildlife of all shapes and sizes but a variety of mythical grotesques, from imps to chimeras to hybrids of man and animal to much more besides. 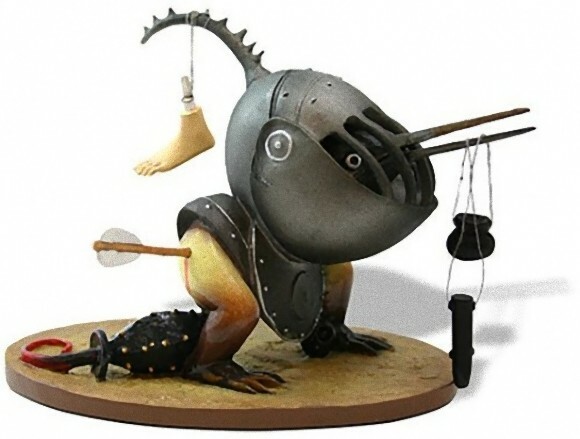 He drew from the same surreal imaginative well to fill his other paintings, and you can now pull out a few of these colorful, menacing, preposterous, and darkly humorous characters yourself in collectible figurine form. Though "not a big knickknack person," Dangerous Minds' Tara McGinley admits to digging this selection of "tiny objects" straight from the mind of Bosch, all "kinda cool-looking in their own obviously weird way" and none "too expensive. 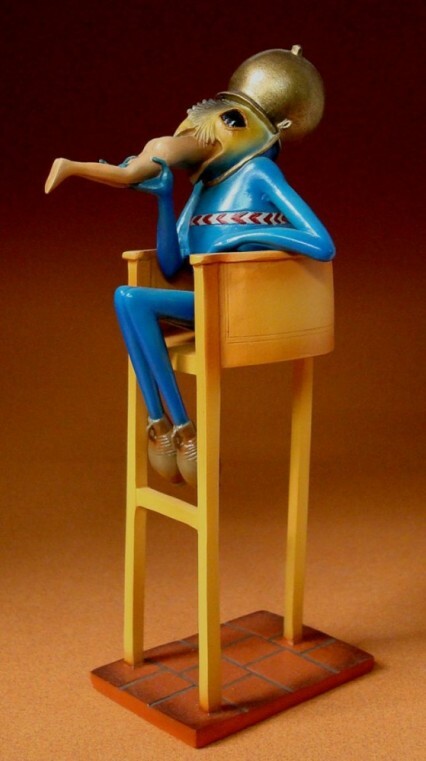 The figurines start at around $45, depending on quality, size and detail." (You can find them on Amazon.) 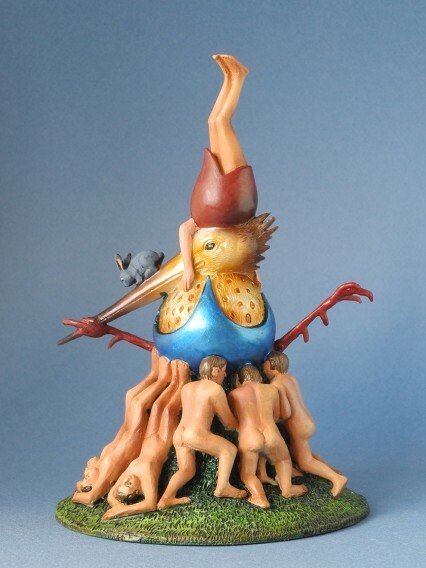 She highlights such issues as "Helmeted Bird Monster," which according to manufacturers Parastone features a severed foot "swinging from the bird's helmet referring to the horrible corporal punishments which could be expected in hell." "Devil on Night Chair," one of the most recognizable denizens of The Garden of Earthly Delights' third panel, comes cast in his famous position, "eating a person on a chair where he will excrete the human remains." The considerably less satisfied "Fat Belly with Dagger" comes from the third panel of a different triptych, The Temptation of Saint Anthony, the dagger in his belly showing "the consequences of intemperance. His eyes look out at you in acknowledgment." Its makers promise that "you will look at it in wonder as to how Bosch's mind conceived of such an unusual little fellow." Have a look at Dangerous Minds' original post and Amazon's Bosch figurine page for more information on how to obtain them, whether for yourself or as gifts for friends and family. They certainly won't look at them the same way they do Hummel figurines. 4 billion Catholics? That’s an ambitious (very incorrect) figure!